Join us in the tasting room for Wine, Food and Music! 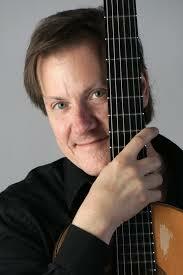 We will be hosting musician, David Rogers at Brooks Music Sunday. Rogers has recently been recognized by the New York Times and The Washington Post as a prominent guitarist and for his instrumental ability. Come enjoy music with wine and good company! We will provide regular service with our full menu, flights, glasses or bottles for you and guests to enjoy. Music from 1:00 - 4:00 PM. No admission fee, we will provide regular service with our full menu, flights, glasses or bottles for you and guests to enjoy.